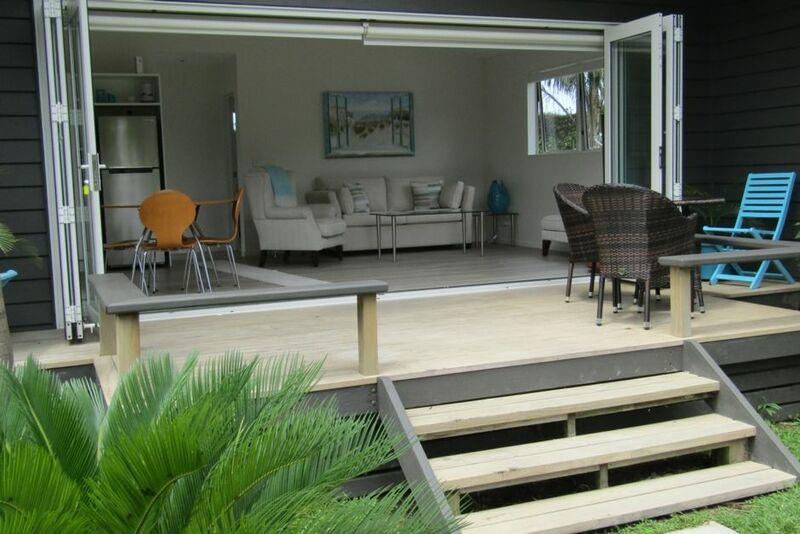 The Palms in Point Wells is a lovely 1 bedroom cottage in beautiful Point Wells. Just 5 minutes from Matakana, enjoy all the wonderful places you can visit on the Matakana Coast. From the historic town of Puhoi to to the beautiful surf beach of Omaha. Enjoy wine trails and art trails such as Brick Bay and Sculptureum. Take the boat from Sandspit to Kawau Island, enjoy the marine reserve at Leigh. Point Wells is approximately 1 hour from Auckland CBD, but at the Palms in Point Wells, you`ll feel as if you are miles away from all the hustle and bustle. You can be completely independent, or we can arrange breakfast for you to enjoy on the deck. Liz and Alec have been host for over 20 years. Everything about the Palms is perfect. Liz and Alec are gracious hosts. A comfortable, tasteful, tranquil self contained spacious cottage in a lovely location. Friendly, helpful and kind hosts. We thoroughly enjoyed our stay and would love to return. The cottage was well equpped for self catering but there are so many dining choices at the nearby wineries and at Matakana that you are spoilt for choice of dining options. Simply a great place to stay!